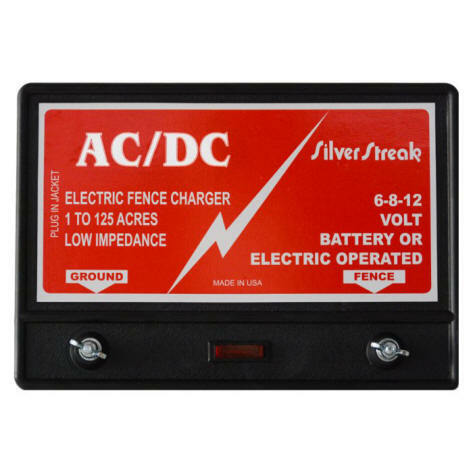 The SILVER STREAK AC/DC fence charger is for the serious farmer/rancher who demands the best in fence energizers. These chargers are designed for use with any 6,8,9, or 12 volt car/marine batteries or any standard 110V AC outlet and have the power to shock through weeds and grass. Due to it's portability and power options this unit is perfect for Strip Grazing. 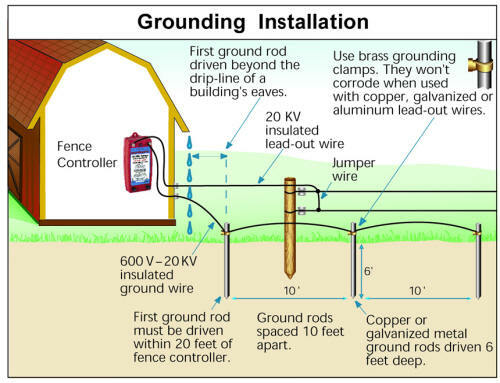 The Silver Streak AC/DC is a "pulse type" fence charger that provides and extra measure of safety for children, small pets and wildlife. 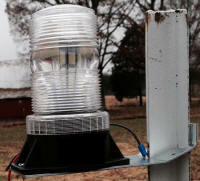 Indicator light flashes as the fence pulses to indicate the charger is fully operational. 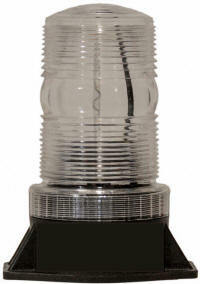 Designed for installation indoors or in protected enclosure. The Silver Streak AC/DC fence charger is designed to accept steel or aluminum wire ... 20 to 12 gauge ... as well as poly wire or poly rope. Charges up to 10 miles of fence under ideal conditions. 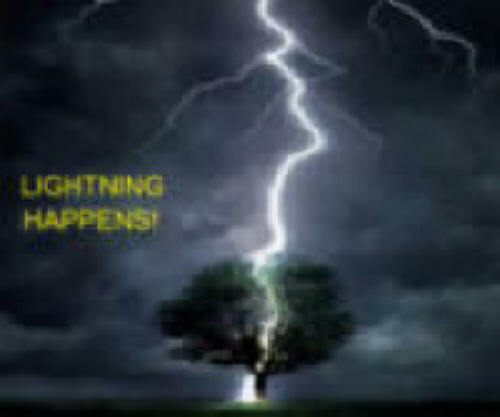 The Silver Streak AC/DC is covered by a one-year limited warranty which covers defects in materials and workmanship as well as Lightning Damage Protection. And finally, many of our customers have used these chargers for years on end. If your charger becomes damaged in any way, you can always count on us for spare parts so you can be back up and running in a matter of days. Many of our customers just stock their own spare parts and then replace them when needed so their fence is never down for an extended period. And it's much more economical than buying a brand new charger. 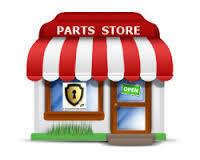 We even stock re-furbished parts at great prices and offer a credit for return of your damaged circuit boards. Free shipping and NO Tax (except Ohio) on orders > $50 within the continental United States.